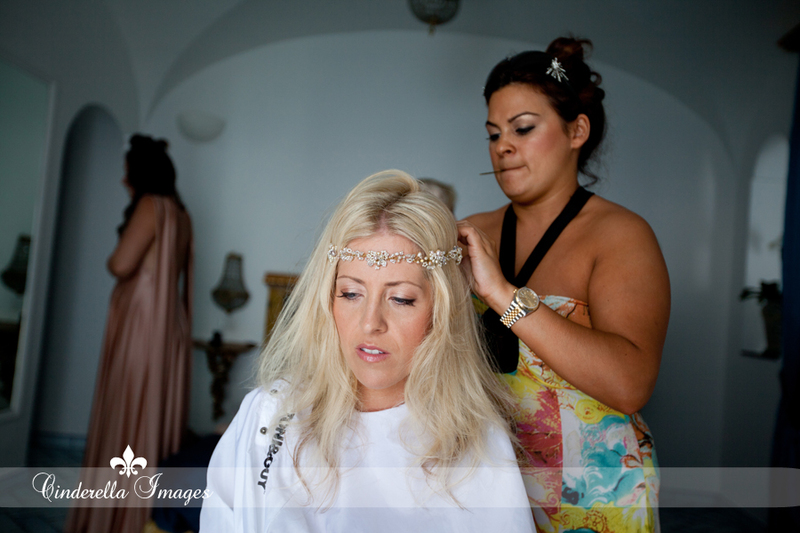 One whole year had passed since Louise contacted me enquiring about Wedding Packages for her Wedding in Positano! 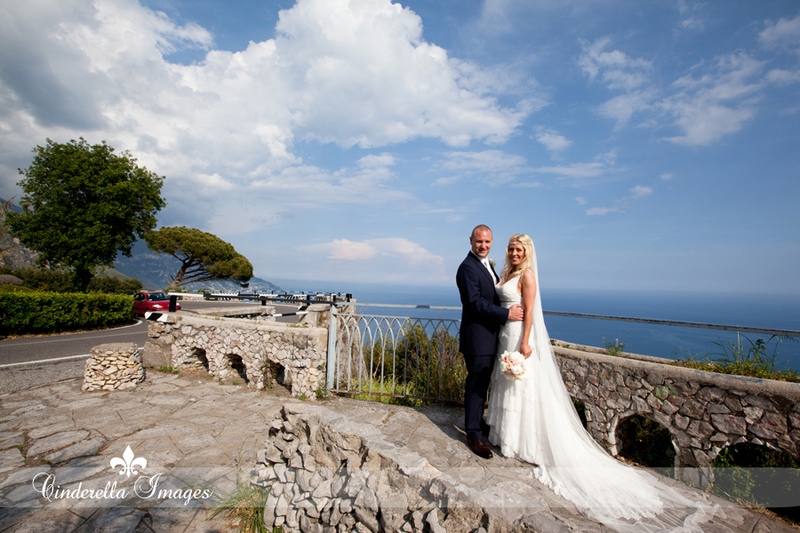 On May 25 the day had finally come for her and James to get married in one of the most beautiful and enchanting locations in Italy – the Amalfi Coast! So we packed our bags and headed to Positano, my favorite place on earth.. The ceremony took place at the Cloisters in Sorrento, while the Reception was held at the beautiful Le Terrazze in Positano, with an aperitif at Music on the Rocks. It started to sprinkle as we were arriving back to Positano – just enough to create a pretty rainbow, and as we say in Italy, “Sposa Bagnata, Sposa Fortunata!“, which means “A Wet Bride is a Lucky Bride!”. We got a chance to work with some great vendors, including Wedding Planners Alessandra and Iolanda from the Book of Dreams and makeup artist Zoe Graham. My talented videographer hubby Dani was filming the entire day, so we’ll be posting the video for this amazing wedding real soon.